F.O. Friday: Horatio the Nautilus! The second member of the Summer of Cephalopods pattern collection is here: Please meet Horatio the Nautilus! Horatio was really fun to design. He's remarkably life-like (if I do say so myself) with his striped shell, elegant tentacles, and protective hood. He's worked in five parts: three layers of tentacles which are worked as i-cord from a flat base, a hood worked in stockinette stitch with twin-wrap short rows, and the shell is worked in garter stitch with simple wrap-and-turn short rows. 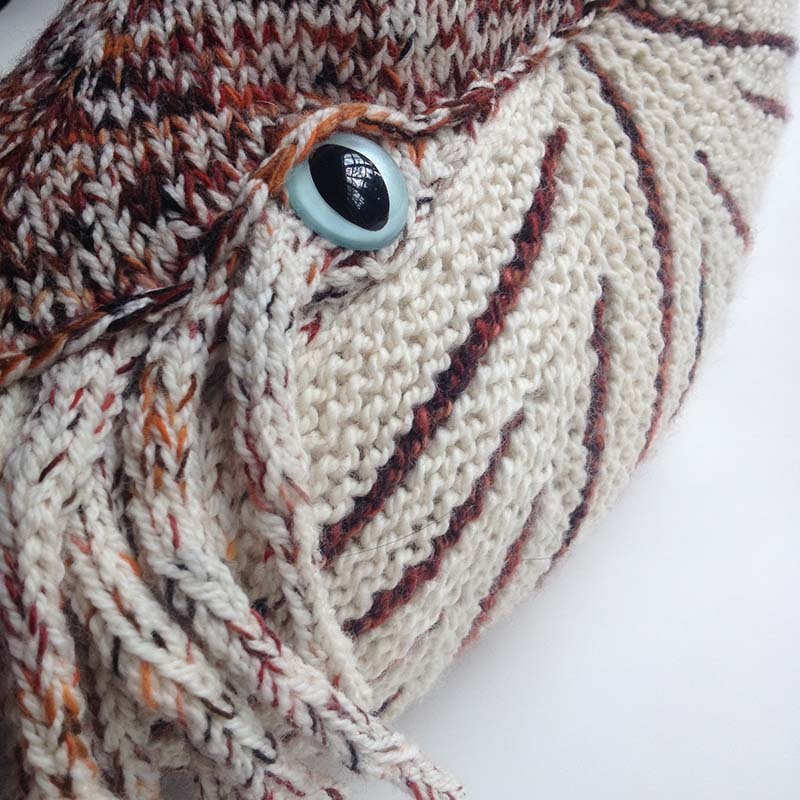 A unique pattern inspired by a fascinating creature, Horatio the Nautilus is an engaging project for the adventurous knitter. September's cephalopod will be coming out very soon (in the next two weeks - woohoo! ), and I think there's another member of this fascinating family in my future. Horatio's pattern will be coming out next week, and it will be free for newsletter subscribers (you can sign up here). Kits are $85 (with free U.S. shipping) in the shop. Do you have any F.O.s this week?